The Jordan Why Not Zer0.2‘s design and its colorways have taken on many forms of personal inspiration from Russell Westbrooks life and career. 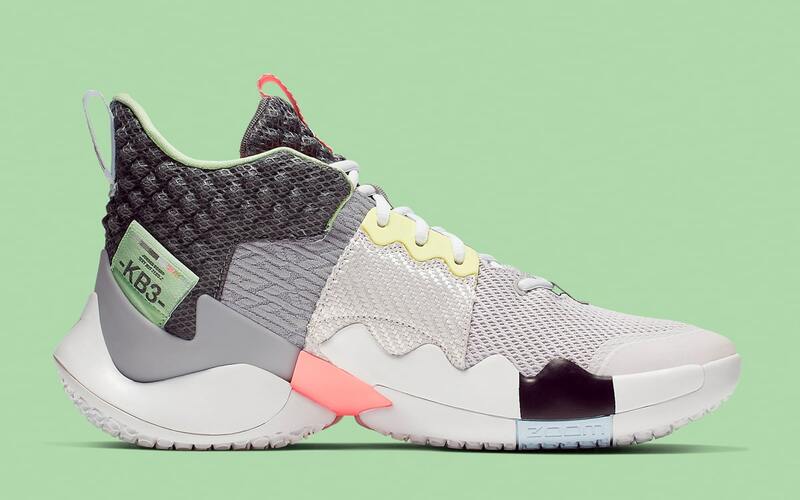 Not only does the design reflect the Brodies personal style, gameplay and ability, it’s colorways have reflected his life, from his family to his childhood, but this next pair may be his most deeply personal pairing yet. 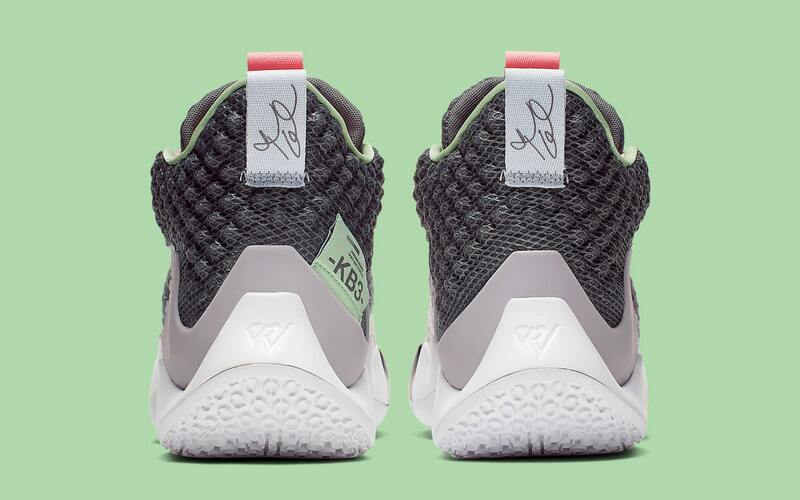 This pastel painted pair pays tribute to the point guard’s late friend Khelcey Barrs III — who passed away from a heart attack at just 16 years of age. 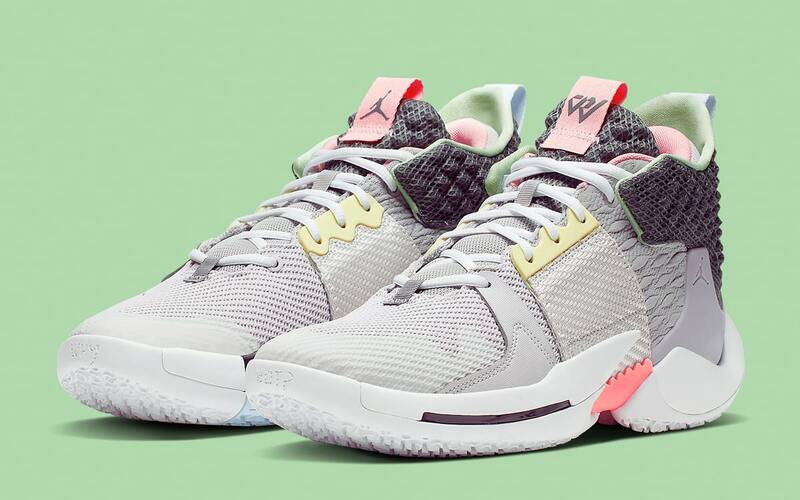 Westbrook is no stranger to honoring Khelcey through his signature footwear, but most pairs feature a homage tucked behind the tongue or hidden under a lace shroud, but this time around it’s much more visible. 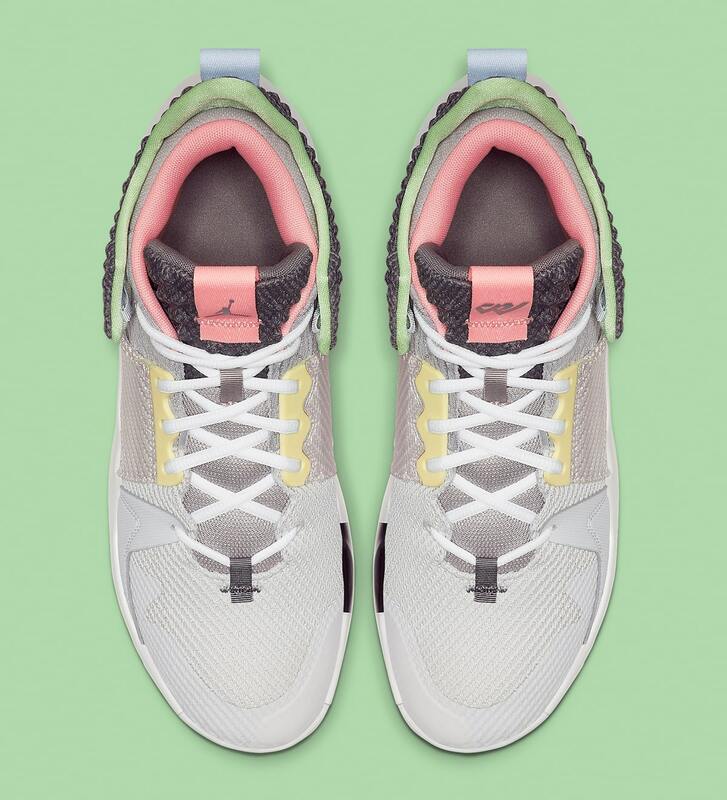 The left shoe’s large exposed heel tag features a “KB3” embellishment, and the color scheme offers a mix of greys both light and dark on the multi-textured upper, all accented by Easter-style pastel pinks, greens, and yellows on the collar and lacing system. 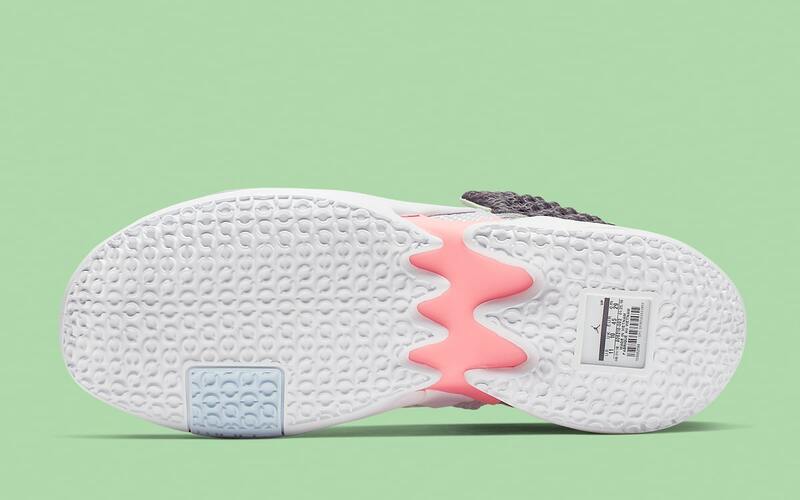 The look is then completed by a white midsole/outsole with the signature exposed size tag appearing under a window of translucent plastic on the heel. Take a look at the full set of official images below, and expect these commemorative shoes to land at select Jumpman retailers like Finish Line and Nike.com on May 11th. 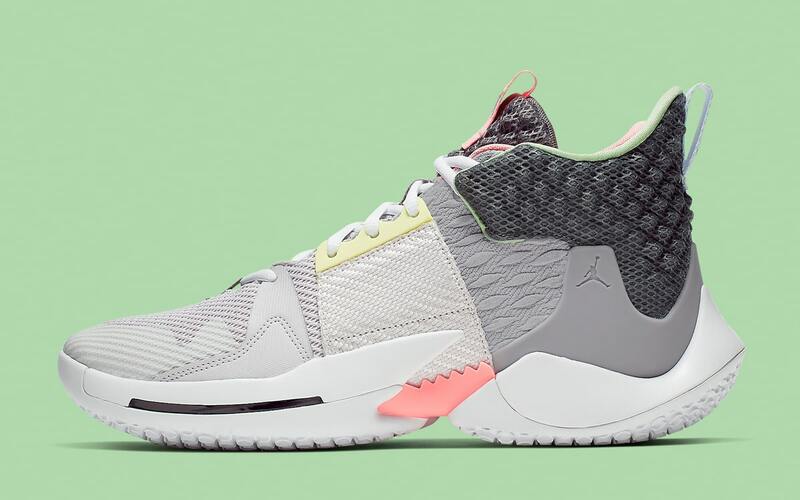 While you wait out the release, head on over to our Release Calendar to stay up to date with Jordan release dates, add reminders directly to your calendar and find direct links for each drop!